As a computer enthusiast, you have to feel sorry for the person that is in charge of picking out a gift or gifts for you during the holidays. They'll try to buy you something special because they know or heard you're into computers and they will probably fail. Now we all know it's the thought that counts of course, but you still end up returning it anyway because it's not something you would ever use or buy for yourself. Hopefully this gift guide can be something you can throw a link onto your Facebook or Twitter and let someone out there know that you'd be OK with anything here. With the help of ANTEC, we picked out some pretty decent gifts from a few different price points that should work for most budgets. Yes, we left the cases and the power supplies out because we all know how picky we are about those. Check out the video above (or directly on YouTube) for all the great stuff we suggested. We've also added links, prices and where to buy it below to make it easy for someone to get a hold of that special gift just for you. We guarantee that this list will offer a satisfying gift for any man or woman who loves computers. To solve a cooling problem we install more fans, better fans, or check the thermal paste. But sometimes, the problem just needs some air flow in just the right place. The ANTEC Spot Cool 100 is a device that allows you to put the air where you need it, anywhere on the motherboard. The Spot Cool 100 can be mounted to any screw on your PCI slots or even directly onto your motherboard using a motherboard mounting screw. 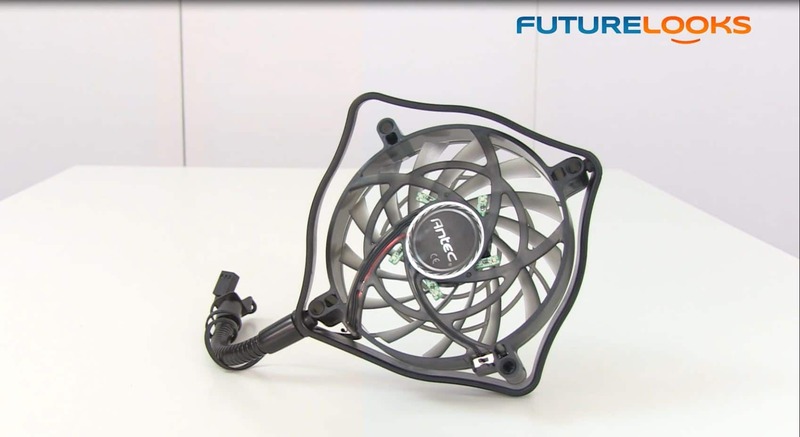 Once on their, you can use the flexible neck and rotatable fan frame to distribute the air where it needs to go. A set of blue LEDs gives the fan a bit of bling and you can adjust the fan to low or let it dynamically adjust on its own. The ANTEC Spot Cool 100 retails for between $15 - 20 and is available at NCIX and NewEgg. No, this is not a teaser for the next Master Chief adventure. But it is a way for someone that spends a lot of time in front of the monitor to be more comfortable doing so. This Halo 6 Bias LED Lighting kit uses six LEDs in a strip that is powered by a USB port. It's meant to be mounted on the back of any monitor up to 24 inches. The light emitted from it helps your pupils relax, which in turn reduces eye fatigue, enhances color definition, and lets you stay jacked in for longer. 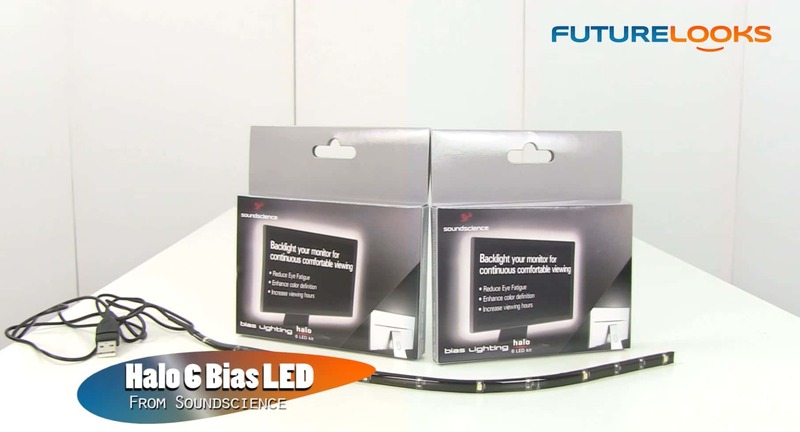 The SoundScience Halo 6 Bias LED Lighting Kit retails for $10 - 15 and is available at NCIX, NewEgg and Memory Express. With touchscreen devices becoming more common these days, fingerprints and smudges are a problem. 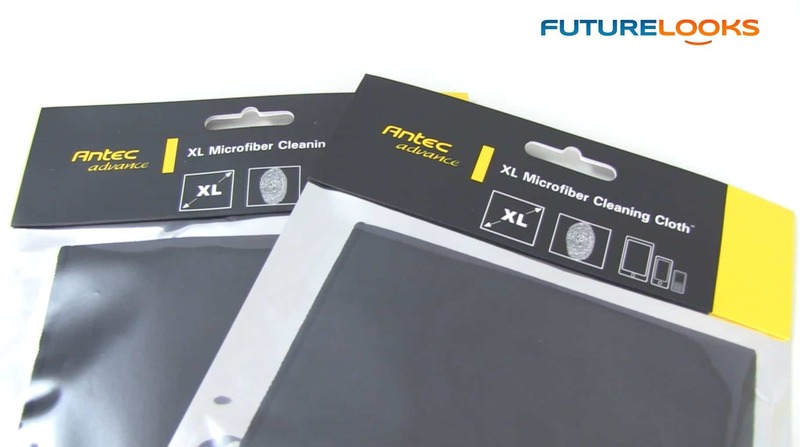 Antec's Advance XL Microfiber Cleaning Cloth solves this problem quickly. It's made of a high quality micro fiber material that quickly wipes off all the nastiness without damaging the display and the generous 12x12 size ensure you don't put new ones on while cleaning your device. You can use this on your tablets, smartphones, and pretty much anything that gets smudged. Even cases and monitors. The ANTEC Advance XL Microfiber Cleaning Cloth retails for around $6.00 and you can find it at NCIX, NewEgg, and Memory Express. 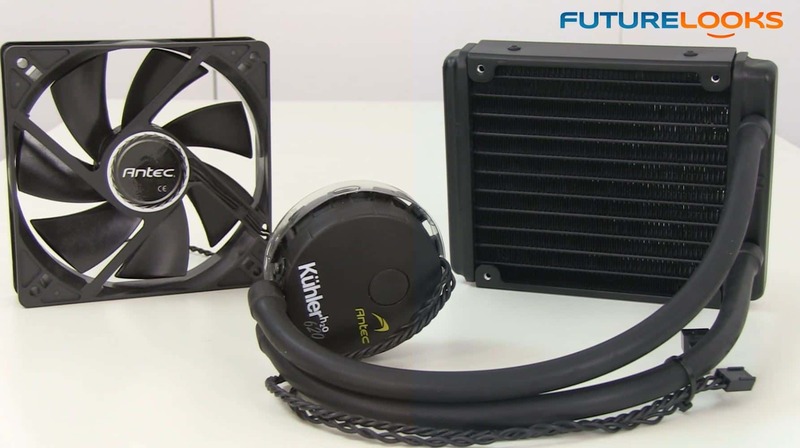 Antec's air coolers have been on the market for a little while now and one of the models they have is called the Kuhler Box which is their top end version that supports all CPU sockets from INTEL LGA775 all the way up to the current LGA1155. And of course, AMD users are covered with support from AM2 to AM3+. That makes it a pretty sure bet that it'll fit any system made within the last couple of years. The Kuhler Box uses aluminum fins and 8 direct contact heatpipes for maximum cooling efficiency and includes everything you need to mount it. It's perfect for anyone who's still using a stock cooling solution or is a great replacement for an existing cooler that may be about to give up the ghost. The Antec Kuhler Box retails for between $40 - 60 and can be found at NCIX and NewEgg. 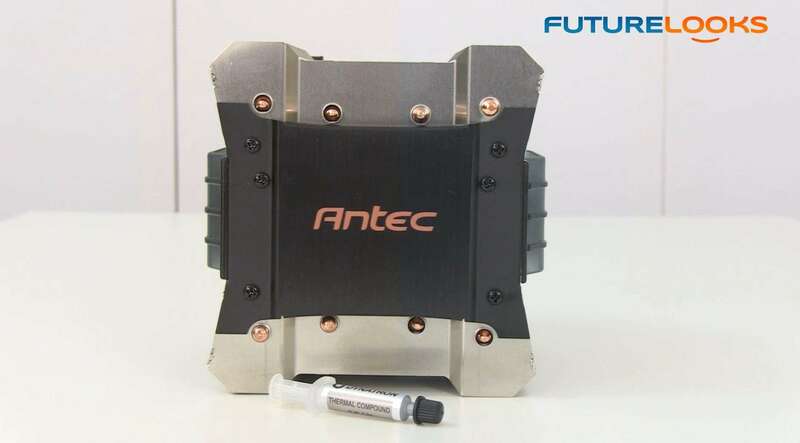 Antec's Kuhler H20 620 Liquid Cooling System is an inexpensive way to get your "feet wet" in liquid cooling. The unit is fully self contained and is engineered to last a very long time so you won't be rescuing your system with a bucket. It mounts to all modern CPUs like the Antec Kuhler Box above it and everything you need to mount it is included in the box. This should satisfy most regular users that want something a little better and quieter than standard fan coolers. Now if you're overclocking or have your system mounted in a very hot place, the Kuhler 920 is the bigger brother and features a slightly larger radiator and an additional fan for even higher performance. The Antec Kuhler H20 620 retails for $50 - 70 while the Kuhler H20 920 retails for around $109 - 129. You can get them at NCIX and NewEgg. 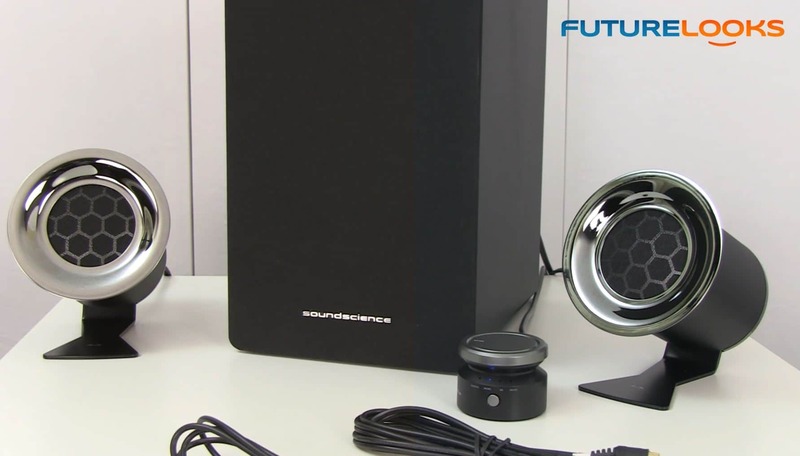 The last gift that was suggested to us from ANTEC was one of their Rockus 3D 2.1 speaker systems from their Soundscience division. This 2.1 speaker system comes with its own subwoofer which sports multiple connection options and two satellite speakers which are made of aluminum and other alloys. The set is built extremely well and the sound is very crisp. It's an excellent setup for someone living in a dorm room or for someone that's a gamer that wants to break away from the headset once in a while. The Rockus 3D 2.1 Speaker System retails for between $150 - 200 and can be found at NCIX, NewEgg and Memory Express. Help Us Improve Our Guides By Leaving a Comment Below!